Class 1978, Gigi Nieddu approaches Dance World in 1994, starting to study Jazz and Hip Hop dance in his home town, Olbia (SS), continuing his studies at Trieste (1997) and in Florence (1998). During his period of training, he attended courses and internships supported by internationally renowned teachers such as Omid Ighani, Paolo Aloise, Moreno Mostarda, Caterina Felicioni, Gus Bemberry, Byron and many more. Meanwhile, he started his career as a choreographer and in 2004 he became Cruisin Instructor (Mc Hip Hop Instructor) while on 2014 became HipHop Technical Teacher CSEN and in 2015 Hip Hop Teacher Aid & a. 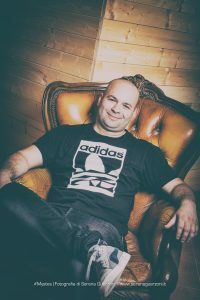 In 2004 he founded Mystes whose latest works have been presented at various international and national festivals and events, with excellent feedback. Since 2007 he is the Reference for Tuscany of the Hip Hop School of I.D.A. coordinated by Paolo Aloise and Daniele Baldi. 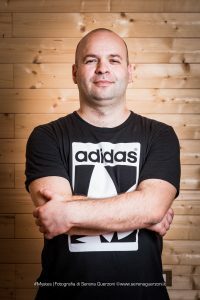 Currently he is Teacher and Co-ordinator of Hip Hop in Florence at Florence Dance Center (since 2000) directed by Marga Nativo and Keith Ferrone, at Dance Studio (2004), directed by Mauro Barbi and Monica Benesperi and at Hdemia Krílù directed by Cristina Lucaccini. 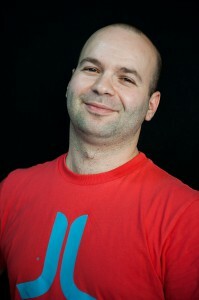 Founder, Director and Choreographer of the Mystes Company, born in 2002, whose last works are presented at various international and national festivals and events. A Florentine reality that has been established for some time now, it had the honour of being the first to bring Urban Dance to places and events of international importance for the first time in their history, which give the city of Florence such prestige throughout the world: the Florence Dance Festival, the Bargello National Museum, Gli Uffizi and Santa Maria Novella. Participation in the Uffizi Live September 2017 2017 the 19 at the Uffizi Gallery in Florence with the presentation of the unreleased “Lucida Follia”. Participation in XXVIII Florence Dance Festival 2017 on July 22, inside the Event Toscana Dance Hub & Mystes, entitled” Dreamscape “. Participation in XXVII Florence Dance Festival 2016within the evening “Urban Contamination” with the presentation of the extract titled “Psychosis“. Second ranked at Choreographic Competition Tuscany Spring Competition 2016 (Senior Hip Hop Category) in Castelnuovo di Garfagnana. Staging of their Show entitled “Third Dimension” at the 26th Edition of Festival Suoni e Colori in Tuscany on 9 September 2015 at Rignano sull’Arno. Participation in the 26TH July 25 at Florence DanceFestival 2015 of the evening“Omaggio a Firenze Capitale” with choreography titled” Zero “. Participation on July 18 2014 at Florence Dance Festival inside the evening “Quintetto d’Autore“ with the choreography entitled “Cloze Your Eyes “. Selected group at editions of Florence Dance Festival 2010, 2011, 2012 and 2013 within the evening Dancebook . Group visitor of Italian FederVolley during the ” World League 2012″ for the Italian Group held in Florence. Group visitor of Italian FederVolley during all rounds of “Men’s Volleyball World Championship 2010″ for Florence Office. Winner of the VIII International contest DANZ & STATE 2007 (Balletto di Toscana, Florence) in the category of Hip Hop. Winner of the VI international competition DANZ & STATE 2005 (Balletto di Toscana, Florence) in the category of Hip Hop. Winner of VI international competition DANZ & STATE 2005 (Balletto di Toscana) held in Florence in the Hip Hop category and winner of the audience award among all categories. Winner of the international contest Castiglione Danza 2004 (Catiglione delle Stiviere, Mantova) in category Hip Hop. Group finalist at “Mc Hip Hop World Contest” Cruisin in Iesolo (VE) in 2003 and guest of honor at the Underground Movements show held at the amphitheatre in Porto Rotondo in the same year. In 2006 he collaborated with the Florence Dance Company: his own collaboration (“Donne”) with Marga Nativo was presented the same year at the “Florence Dance Festival” under the international festival Estate Fiesolana in Anfiteatro Romano di Fiesole. The same collaboration was re-launched in October of the same year in New York and Barcelona. Ideator and organizer of various events as freelance, in many fields (sports, pharmaceutical, show). Coordinator and organizer of stages with artists of national and international renown. Freelance on behalf of Carlson Wagonlit Meetin & Events: Logistics Organization of the Giro d’Italiasports event on behalf of RCS in the 2010 and 2011 editions. Back to The Roots (July 3, 2006): Hip Hop evening in its many forms. Constructor and Organizer of Contamination School with Caterina Felicioni developed in 4 editions (2008-2011). Organizer, together with the Florence Dance Center of the dance section at the 2007 Creative Festival, in particular the creator of the various Workshops, the Showcase of Young Choreographers, Spellbound Dance Company Performance and Katesplace, Hip Hop & B-Boy Night of the Evening Of October 28th.